With his hang dog demeanor and distinctive voice, Stanton made a mark in his career, and appeared in character roles for notable films such as “Cool Hand Luke” (1967), “Kelly’s Heroes” (1970), “The Godfather Part II” (1974), “Alien” (1979), “Escape From New York” (1981), “Pretty in Pink” (1986) and “Last Temptation of Christ” (1988). He had bigger and more up front roles in “Repo Man” (1984), “Paris, Texas” (1984), “Wild at Heart” (1990), “The Straight Story” (1999), “The Green Mile” (1999) and the upcoming “Lucky” (2017). To read the rest of the HollywoodChicago.com obituary, click here. 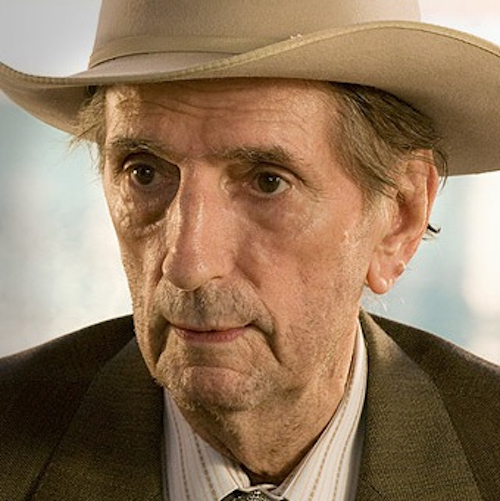 The three Harry Dean Stanton films below express the man, and with his last appearance in “Lucky,” he will get the send-off that few actors can ever duplicate. 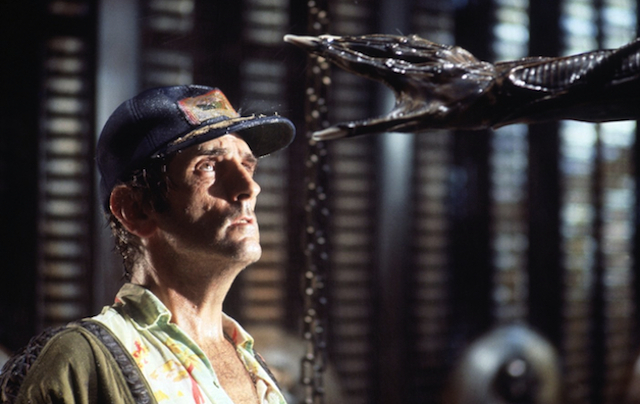 “Alien” isn’t Harry Dean Stanton’s greatest role, but it’s the most enduringly popular film he was a part of… and it highlights the gifts of a great character actor to take a part and add real humanity to it. He’s just one of the lower hands on the Nostromo, a mechanic grumbling about corporate bosses and crummy pay. He doesn’t have the strength or depth of the main character of Ripley, but he is a real asset to the movie as a whole. He fills out the ship and establishes an actual character instead of just alien cannon fodder (although he does get quite the memorable death). Harry Dean Stanton’s gift was in making something out of nothing and managing to shine even in an effects driven sci-fi blockbuster. Ripley: Whenever he says anything you say ‘right,’ Brett. You know that? Ripley: Parker, what do you think? Your staff just follows you around and says ‘right.’ Just like a regular parrot. Parker: [laughs] Yeah, shape up. What are you, some kind of parrot? This was part of the one-two punch in 1984 that established Harry Dean as the cult outsider for the rest of his career (followed shortly by the film below). As the ultimate Repo Man (repossessor of cars) named Bud, he follows a strict code of his own, and those type of distinct rules somehow defined the motivations in all of his film roles. Written and directed by Alex Cox, the goofy subplot of an alien invasion (spoofing Harry in the previous film, perhaps?) takes a back seat to the chemistry and moments that Emilio Estevez (as Otto) and Stanton have together, and Bud’s determination to be his own man. In the film he keeps getting shot, but I’d like to think he’s almost immortal, and perhaps one of the aliens himself. 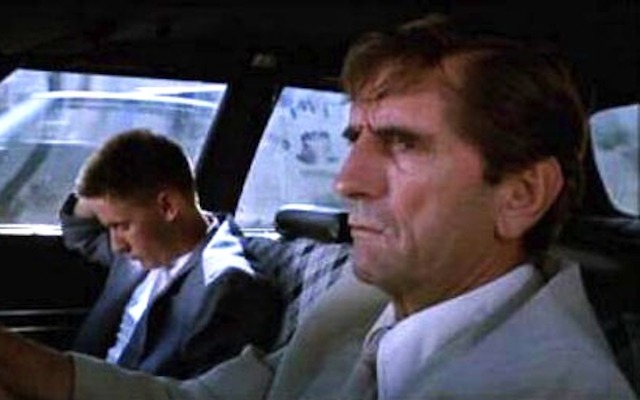 “Repo Man” is always worth a look again, in no small way because of HDS. Screen presence is a strong, near-quantifiable characteristic that some actors have, while others don’t… it’s almost like a subtle gravitas that demands your attention but is never forceful. 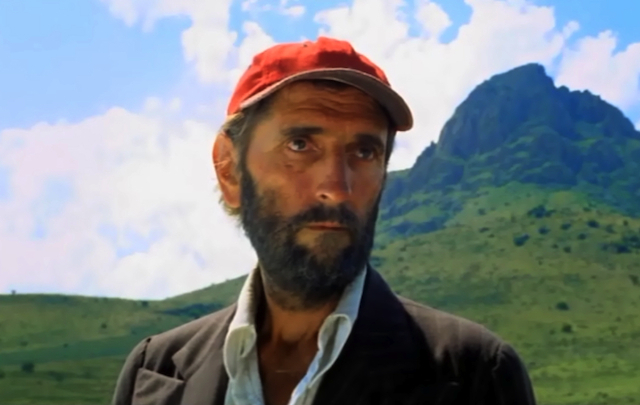 Character actor Harry Dean Stanton has this presence in every project he is in, but it was used to greatest effect in “Paris, Texas.” For most of the film, Stanton’s character doesn’t speak, but at the same time his expressive nature speaks volumes. His performance is a physical one, telling us everything we need to know about him through his mannerisms, actions and expressions. We know little about him, but his weather-worn face and world-weary eyes tell us a tale of sadness that is as powerful as it is infectious. Few actors could pull off the chilling performance Stanton delivered, and fewer still could do it as compellingly as he. MAN OF CHARACTER: As a great contrast to his silent performance, we get a ten-plus minute scene where he is telling his story to his ex-wife Jane (Natassja Kinski) at a peep show. You don’t notice the time because you are captivated by Stanton’s storytelling, and enthralled by the way Kinski reacts to what he is telling her.